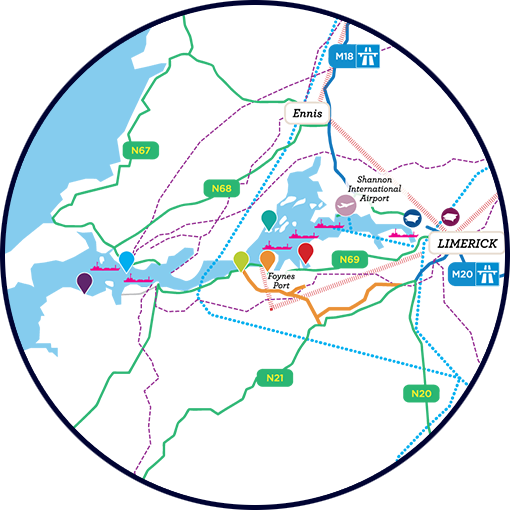 The Shannon Estuary on the West Coast of Ireland extends 100km from Limerick City to the Atlantic Ocean and is a sheltered deep water resource adjacent to all the major shipping lanes into and out of Europe. The SIFP process identified Strategic Development Locations (SDLs) which are particularly appropriate for marine related industry which requires access to deep water. These zoned sites enjoy a statutory guideline development framework, and have undergone Strategic Environmental Assessment (SEA) and Appropriate Assessment (AA) as buyneurontin.org required by EU legislation, thus considerably reducing development time and cost.